Summer time heat in Visakhapatnam can be brutal with day temperatures rising to 45 Degree Centigrade. Air conditioners became a must have in homes these days. For AC installations in Visakhapatnam call 75 Services at 0891-6644666. At 75 Services Visakhapatnam, we provide window or split AC installation at your new house by professional AC technicians in Visakhapatnam. 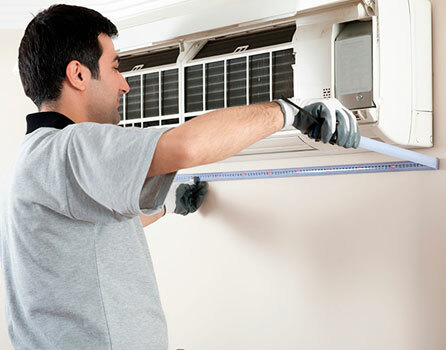 We can also dismantle the AC in your old house, clean it and reinstall in your new house. We can install any brand AC's at comparatively much lesser price than the technician sent by the company itself. We deal with all brands of AC's like Samsung, LG, Carrier, Daikin, Voltas, Carrier, Whirlpool, and Blue Star etc. If you want to beat the heat of this Vizag's summer and feel cool, then don't hesitate to contact us today at 0891-6644666 for an estimate.